We are continuing to adapt to our new computer system. We are updating the website with new items almost daily. We hope you are enjoying the convenience of having a website with our calendar and classes to refer to. 1. We still have a rewards points system, and we carried over old points from the previous system. 2. You MUST present paper gift certificates or rewards certificates form the "old" system to be used. We ask if it's $20 or less that you use the entire amount. If it's for more than $20 we will mark what you used and what's left to use on the certificate. 3. We'd like OLD certificates to be used by July 1, 2017 please. If you haven't looked at our website yet, I recommend checking the classes and calendar sections for upcoming events! Also, you can shop the website. If you don't have as paypal account I believe you can still use it as a "guest" with your cc. Tuesday, March 7, 2017 1:00pm until done!! There is a need in Cavalier County for baby blankets and we want to help fill that need. The fabric is supplied by Thrivent Financial. Come sew with us and help wrap those babies in love! You can bring your own machine or use one of ours! Please let us know if you are attending so we will have a shirt for you! 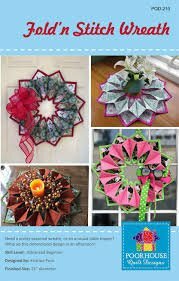 Supplies needed: Pattern, 3 fabrics (see pattern), foam squares, fusible web, thread, sewing machine, rotary cutting supplies, pins, iron. We will schedule a 4th class to do binding in groups of 2 or 3 at a time. You can rent a sewing machine for $20 additional for entire class series. We are using Block magazine's Easy Hourglass pattern. You will need: fabric, thread, sewing machine, scissors, seam ripper, pins, rotary cutter supplies, and an iron. The picture below is from the book. We do not have these fabrics. 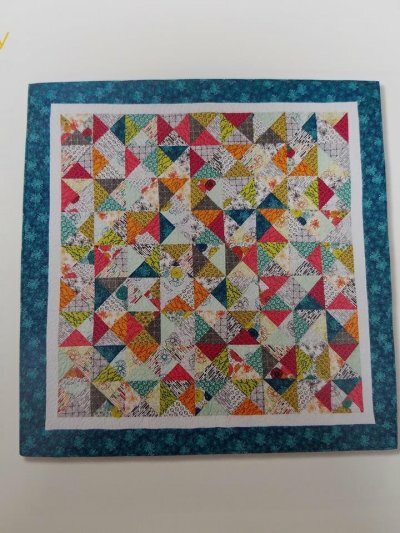 For fabric: you will use charm packs (5"squares) and some yardage. You will get a discount on supplies purchased for class.